프리메이슨은, 어쩌면 과거에는 존재했을 지 모르지만 적어도 지금은 음모론자들의 상상속에만 존재하는 비밀조직 쯤으로 여겨질 것이다. 그러나, 프리메이슨은 한국에만도 한양롯지를 비롯한 여러 지부가 활동하고 있는 실체가 명확한 조직이다. 프리메이슨의 대표적인 심볼이 바로 직각자와 콤파스이다. 프리메이슨을 오랜기간 연구한 학자들은 프리메이슨이 고대 이집트와 밀접한 관계가 있음을 밝혀내었다. (유사한 비밀단체인 장미십자회는 직접적으로 고대 이집트와의 관계를 밝히고 있다고 한다) 이들에 의하면 콤파스는 피라미드의 정점인 72˚의 각도며, 직각자는 피라미드의 정방형, G는 Giza를 의미한다고 한다. * 프리메이슨 등급과 명칭은 다음과 같다: 1°—Apprentice. 2°—Fellow-craft. 3°—Master. 4°—Secret Master. 5°—Perfect Master. 6°—Intimate Secretary. 7°—Provost and Judge. 8°—Intendant of the Building. 9°—Elu of the Nine. 10°—Elu of the Fifteen. 11°—Elu of the Twelve. 12°—Master Architect. 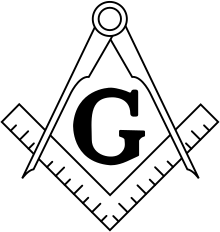 13°—Royal Arch of Solomon. 14°—Perfect Elu. 15°—Knight of the East. 16°—Prince of Jerusalem. 17°—Knight of the East and West. 18°—Knight Rose Croix. 19°—Pontiff. 20°—Master of the Symbolic Lodge. 21°—Noachite or Prussian Knight. 22°—Knight of the Royal Axe or Prince of Libanus. 23°—Chief of the Tabernacle. 24°—Prince of the Tabernacle. 25°—Knight of the Brazen Serpent. 26°—Prince of Mercy. 27°—Knight Commander of the Temple. 28°—Knight of the Sun or Prince Adept. 29°—Scottish Knight of St. Andrew. 30°—Knight Kadosh. 31°—Inspector Inquisitor 32°—Master of the Royal Secret. Previous Previous post: Electric Universe – Proofs?